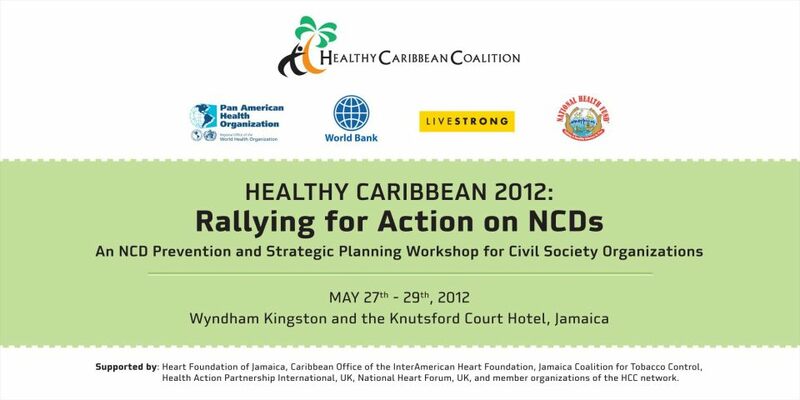 On May 28 and 29 2012 I had the opportunity to attend the Healthy Caribbean Coalition‘s (HCC) Non Communicable Disease (NCD) Prevention and Strategic planning workshop for civil society organizations, held at the Knutsford Court Hotel in Kingston Jamaica. About 13 Caribbean territories were present at the workshop, with over 100 representatives from Ministries of Health, various non governmental societies (e.g. diabetes and cancer associations), the private sector, international and regional agencies and academia. 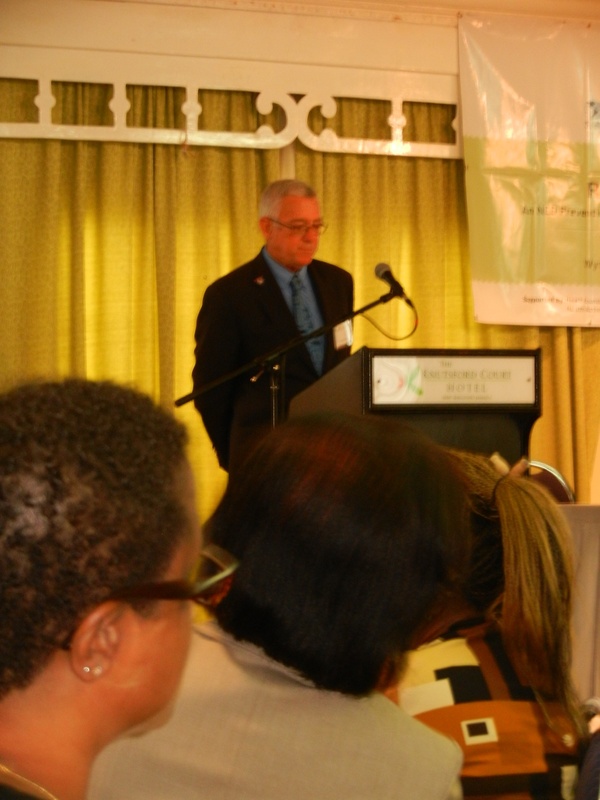 Of special note in attendance was Jamaican Minister of Education, the Honourable Ronald Thwaites who set the tone of the event early, declaring his Ministry’s full commitment to partner with the HCC. He spoke about the “bulla and bag juice’ culture in school feeding in Jamaica and it probable impacts on a child’s poor educational and health outcomes. He stated his intention to address these and other issues this and requested support from the Coalition for the development of the education curriculum which will include messages and activities to persuade students about the advantages of healthy living. 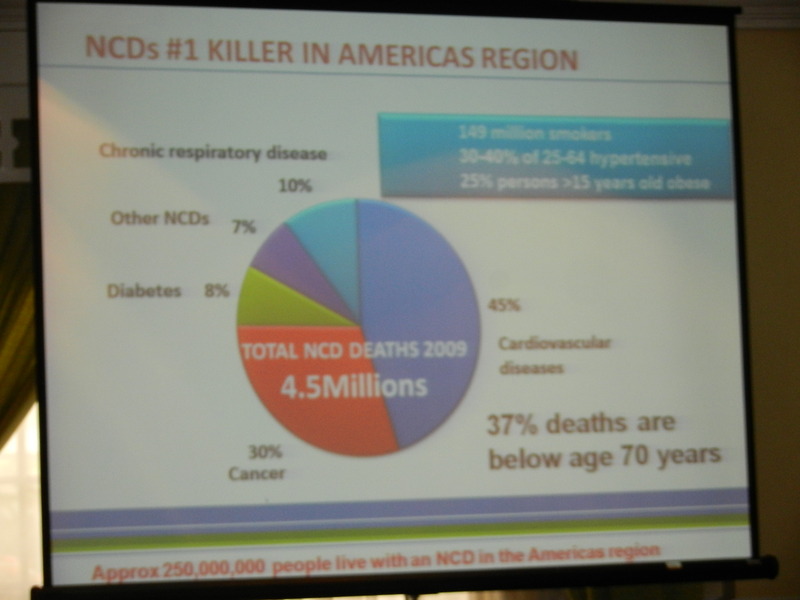 Sir George Alleyne, who, by the end of the workshop was declared Patron of the HCC, advocated for “the NCD approach” which is a “determined, sustained effort to address NCDs subsuming sectoral and organizational hubris to a united collective focus on the task of prevention and control of NCDs in the Caribbean”. The campaign of the HCC has been not only one the the best branded health campaigns of the region, but also innovative and participative. 1. Any campaign should educate their audience in addition to asking them to engage – people cannot only ask their audience to “text, text, text” but instead ask them after teaching them about the issue. 2. Also the campaign tailored its messaging to the individual needs of the 17 countries involved. Because a campaign like this is likely to involve NGOs, volunteers, and several for-profit companies, key stakeholders should be identified early on and their roles established. Although new, raising awareness about NCDs through the Get the Message campaign proved successful and hopefully reproducible in other parts of the world. In Part 2 of this post I will explore some topics relevant to health communications in the region which came out of this meeting. It’s Women’s Health Week in the United States and there’s a wealth of information around the web about what women can do for better health. The infographic below (From Huffingtonpost.com via Vitals.com) shows women in their 20’s through 50’s the various types of medical professionals they should visit and what tests need to be done. The posting of this graphic does not constitute medical advice, and everyone should talk with their general practitioner/primary care physician or other primary care medical personal regarding what to do at each stage of their lives. The importance of the information below is to encourage open communication between patients and physicians. For example, if you’re in your 20’s and sexually active, regular HIV and other STD testing should be part of your medical routine. Breast and Cervical cancer are leading causes of death among Caribbean women. Women in their 40’s should talk to their doctors about routine screenings. There is often a stigma associated with many of the tests shown in the graphic below. Speaking about these tests to your doctor and sharing information with family members is one step towards better health.